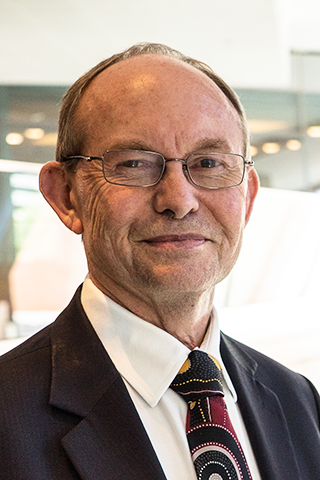 Michael is Professor of Health Economics at the Centre for Health Economics Research and Evaluation (CHERE) at the UTS Business School, and a visiting scholar at ANU. He is also the Independent Reviewer for the COAG Health Council review of the accreditation system of the National Registration and Accreditation Scheme for the health workforce. Mike has had a long career in economics and public finance in the Commonwealth and the two Territory Governments. He is also currently a Senior Advisor to the OECD on policy development. From 1998 to 2014 hewas a Commissioner, then Deputy Chair, of the Australian Productivity Commission. He presided on over 20 national policy inquiries, includingreportsd on the Australian Health Workforce, Caring for Older Australians and Science and Innovation. He was previously the Under Treasurer for the ACT and a member of the Australian Statistical Advisory Board. Mike has worked closely with national ministries in China on fiscal reform and similarly in Viet Nam on economic reform. Mike is a Fellow of the Royal Society of New South Wales and a Member of the Centre for Strategy and Governance. Woods, MC 2018, 'Projecting long-term fiscal outcomes' in Podger, A, Su, T-T, Wanna, J, Chan, HS & Niu, M (eds), Value for money: Budget and financial management reform in the People's Republic of China, Taiwan and Australia, ANU Press, Canberra, pp. 43-63. Woods, M 2019, 'The role of health economics in improving care for older Australians', Research Australia Health Economics Roundtable, Sydney. Woods, MC 2018, 'Health workforce Future Fundamentals', Universities Australia Higher Education Conference, Canberra. Woods, MC 2018, 'Health Workforce Accreditation', National Professional Accreditation Best Practices Summit, Melbourne. Woods, MC 2018, 'Australia's Key Aged Care Reforms', Aged Care Finance Symposium, Adelaide. Woods, M 2018, 'Funding sustainable aged care for the future', Financial Sustainability in Aged Care, Sydney. Woods, MC 2017, 'Lessons from Australia's Growth Path and Policies', Vietnam Development Forum, Hanoi, Vietnam. Woods, MC 2017, 'Competition, Regulatory Reform, Productivity Review', Launch of Australia's ASU4Reform Program, Hanoi, Vietnam. Desktop Review and rapid stakeholder consultation of the palliative care needs of people aged between 25 and 65 years facing an anticipated premature death.